Simplicity pairs well with comfort with this ribbed dress, crafted from a luxurious cotton blend fabric. 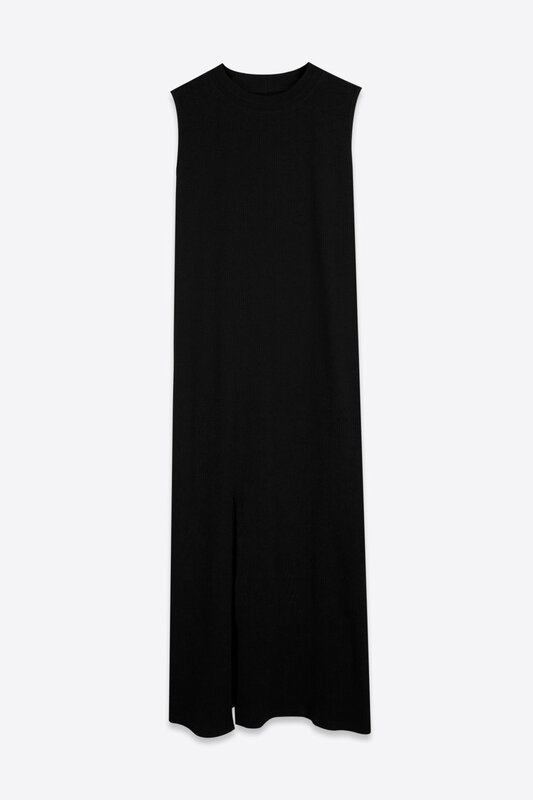 It features a tank dress silhouette, unique collar stitching, and classic front slit with an unfinished hem. Style under a tailored coat for a comfortable nighttime look.